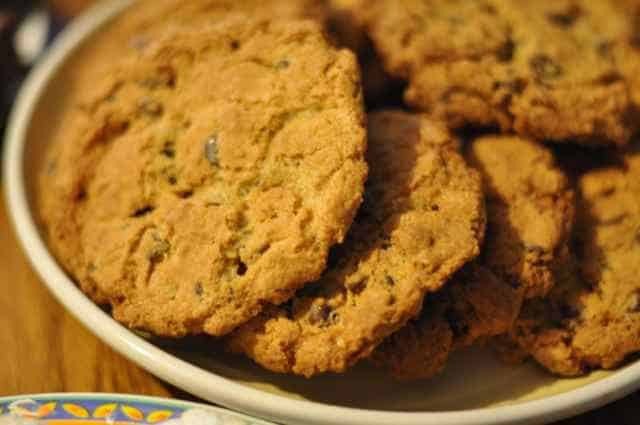 Make Mrs. Fields Blue Ribbon Chocolate Chip Cookies at home. Memories of cookies on a mall shopping trip? Skip the car and make them yourself. In a medium bowl, combine flour, baking soda, and salt. Mix well with wire whisk and set aside. In a large bowl with an electric mixer, blend sugars at medium speed. Add butter and mix to form a grainy paste, scraping down the sides of the bowl. Add eggs and vanilla extract and mix at medium speed until just blended. Do not over mix. Add flour mixture and chocolate chips, and blend at low speed until just mixed. Do not over mix. Drop the dough by rounded tablespoons onto an ungreased cookie sheet, 2 inches apart. Bake for 18 to 22 minutes or until golden brown. Transfer cookies immediately to a cool surface with a spatula. How would you modify this for high altitude cooking? These are really good! Just like the ones you buy in the mall!